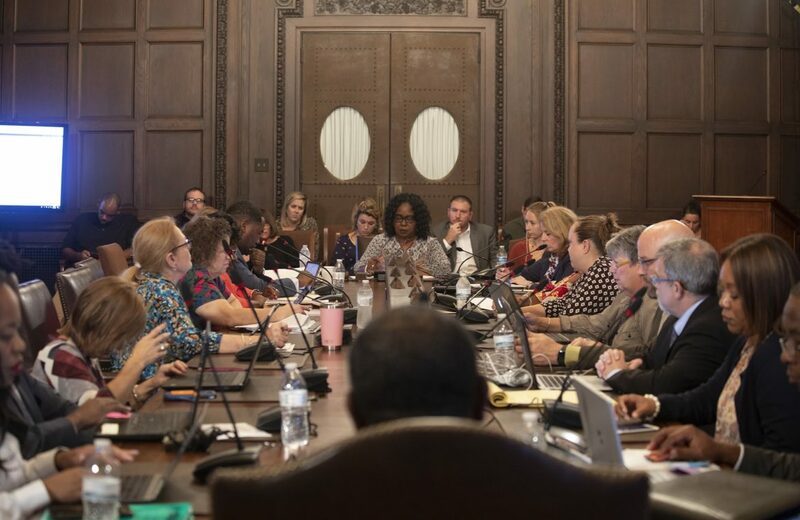 The relationship between Pittsburgh Public Schools and Big Brothers Big Sisters of Greater Pittsburgh will continue now that the mentoring organization has agreed to change questions it asks of prospective mentors about religion, sexual orientation and mental health. The board on Monday evening voted to approve a list of mentoring organizations that included Big Brothers Big Sisters after district solicitor Ira Weiss announced that, within 30 days, the organization will modify or eliminate the interview questions that caused concern. Weiss told the board he’s confident the organization would comply with district anti-discrimination policies. Earlier this month, board member Moira Kaleida informed the board about sensitive questions asked by Big Brothers Big Sisters of prospective mentors. Her father was a prospective mentor and told her about the questions he viewed to be inappropriate. Kaleida said it was possible the questions violated district policy not to discriminate based on certain factors, like race, religion and sexual orientation, among others. The board asked Weiss to investigate. Big Brothers Big Sisters said they use the information to make better matches between mentors and students. Advocates of the nonprofit, including mentors and mentees, addressed the board in a public hearing last week; they shared about how beneficial the mentoring is and how the questions can help to guide the matching process (like when a student requests a LGBT-accepting individual). Big Brothers Big Sisters released a statement after Monday’s meeting, stating that they’re “pleased” to continue serving 500 students across the Pittsburgh district. Of the 500 mentors Big Brothers Big Sisters supplies to Pittsburgh Public Schools, about 300 serve the Mentor 2.0 program at Brashear High School. The Brashear program is geared toward keeping students on track to graduate and develop skills they will need to succeed in post-secondary education. Mentors also serve elementary and middle school students in other Pittsburgh schools. “We value our 17-year partnership with Pittsburgh Public Schools and look forward to empowering students to ignite their full potential for many years to come,” according to the Big Brothers Big Sisters statement. Kaleida said she was “satisfied” with the agreement to give Big Brothers Big Sisters 30 days to revise their interview questions. 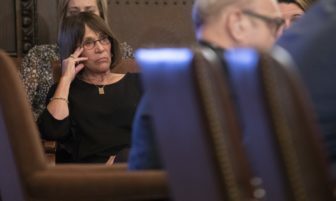 However, Kaleida noted that the board should be making sure every organization working in the district complies with its anti-discriminatory policies. “We don’t want to fall into this again,” Kaleida said. Board member Sala Udin said the policy of the board does not prohibit questions from being asked about sexual orientation or other identity factors. He said he appreciates that Weiss worked alongside the organization to develop a solution, but wishes that Big Brothers Big Sisters of Greater Pittsburgh had instead been able to demonstrate they were using the information gathered to create the best match between mentors and mentees in a non-discriminatory way. 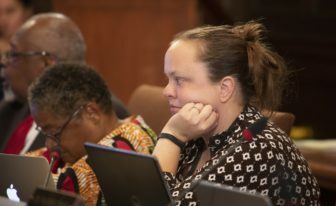 Regina Holley, president of the school board, said that, as a former principal in the district, she was concerned about the questions asked by Big Brothers Big Sisters. However, she said she is comforted by knowing the caliber of mentorship they provide. Kat Procyk is a reporter and photographer for PublicSource. She can be reached at kat@publicsource.org.